Malcolm (Gaelic: Máel Coluim; c. 26 March 1031 – 13 November 1093) was King of Scots from 1058 to 1093. He was later nicknamed Canmore (ceann mòr) in Scottish Gaelic, "Great Chief". (Ceann = leader, "head" [of state]. Mòr = pre-eminent, great, "big".) Malcolm's long reign, lasting 35 years, preceded the beginning of the Scoto-Norman age. He is the historical equivalent of the character of the same name in Shakespeare's Macbeth. Malcolm's kingdom did not extend over the full territory of modern Scotland: the north and west of Scotland remained in Scandinavian, Norse-Gael and Gaelic control, and the areas under the control of the Kings of Scots did not advance much beyond the limits set by Malcolm II until the 12th century. Malcolm III fought a succession of wars against the Kingdom of England, which may have had as their goal the conquest of the English earldom of Northumbria. These wars did not result in any significant advances southwards. Malcolm's main achievement is to have continued a line which would rule Scotland for many years, although his role as "founder of a dynasty" has more to do with the propaganda of his youngest son David, and his descendants, than with any historical reality. Malcolm's second wife, Margaret of Wessex, was eventually canonized and is Scotland's only royal saint. Malcolm himself gained no reputation for piety; with the notable exception of Dunfermline Abbey, he is not definitely associated with major religious establishments or ecclesiastical reforms. Duncan's reign was not successful and he was killed by Macbeth on 15 August 1040. Although Shakespeare's Macbeth presents Malcolm as a grown man and his father as an old one, it appears that Duncan was still young in 1040, and Malcolm and his brother Donalbane were children. Malcolm's family did attempt to overthrow Macbeth in 1045, but Malcolm's grandfather Crínán of Dunkeld was killed in the attempt. Soon after the death of Duncan his two young sons were sent away for greater safety—exactly where is the subject of debate. According to one version, Malcolm (then aged about nine) was sent to England, and his younger brother Donalbane was sent to the Isles. 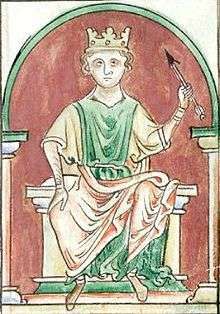 Based on Fordun's account, it was assumed that Malcolm passed most of Macbeth's seventeen-year reign in the Kingdom of England at the court of Edward the Confessor. An English invasion in 1054, with Siward, Earl of Northumbria in command, had as its goal the installation of one "Máel Coluim, son of the King of the Cumbrians". This Máel Coluim has traditionally been identified with the later Malcolm III. This interpretation derives from the Chronicle attributed to the 14th-century chronicler of Scotland, John of Fordun, as well as from earlier sources such as William of Malmesbury. The latter reported that Macbeth was killed in the battle by Siward, but it is known that Macbeth outlived Siward by two years. A. A. M. Duncan argued in 2002 that, using the Anglo-Saxon Chronicle entry as their source, later writers innocently misidentified "Máel Coluim" with the later Scottish king of the same name. Duncan's argument has been supported by several subsequent historians specialising in the era, such as Richard Oram, Dauvit Broun and Alex Woolf. It has also been suggested that Máel Coluim may have been a son of Owen the Bald, British king of Strathclyde perhaps by a daughter of Malcolm II, King of Scotland. If Orderic Vitalis is to be relied upon, one of Malcolm's earliest actions as king may have been to travel south to the court of Edward the Confessor in 1059 to arrange a marriage with Edward's kinswoman Margaret, who had arrived in England two years before from Hungary. If he did visit the English court, he was the first reigning king of Scots to do so in more than eighty years. If a marriage agreement was made in 1059, it was not kept, and this may explain the Scots invasion of Northumbria in 1061 when Lindisfarne was plundered. Equally, Malcolm's raids in Northumbria may have been related to the disputed "Kingdom of the Cumbrians", reestablished by Earl Siward in 1054, which was under Malcolm's control by 1070. Malcolm appears in William Shakespeare’s Macbeth as Malcolm, and also as the anti-hero of its 2009-written (by Noah Lukeman), and historically very inaccurate, successor-play The Tragedy of Macbeth Part II. He is the son of King Duncan and heir to the throne. He first appears in the second scene where he is talking to a sergeant, with Duncan. The sergeant tells them how the battle was won thanks to Macbeth. Then Ross comes and Duncan decides that Macbeth should take the title of Thane of Cawdor. Then he later appears in Act 1.4 talking about the execution of the former Thane of Cawdor. Macbeth then enters and they congratulate him on his victory. He later appears in Macbeth’s castle as a guest. When his father is killed he is suspected of the murder so he escapes to England. He later makes an appearance in Act 4.3, where he talks to Macduff about Macbeth and what to do. They both decide to start a war against him. In Act 5.4 he is seen in Dunsinane getting ready for war. He orders the troops to hide behind branches and slowly advance towards the castle. In Act 5.8 he watches the battle against Macbeth and Macduff with Siward and Ross. When eventually Macbeth is killed, Malcolm takes over as king. The married life of Malcolm III and Margaret has been the subject of two historical novels: A Goodly Pearl (1905) by Mary H. Debenham, and Malcolm Canmore's Pearl (1907) by Agnes Grant Hay. Both focus on court life in Dunfermline, and the Margaret helping introduce Anglo-Saxon culture in Scotland. The latter novel covers events to 1093, ending with Malcolm's death. Canmore appears in the third and fourth episodes of the four-part series "City of Stone" in Disney's Gargoyles, as an antagonist of Macbeth. After witnessing his father Duncan's death, the young Canmore swears revenge on both Macbeth and his gargoyle ally, Demona. After reaching adulthood, he overthrows Macbeth with English allies. Canmore is also the ancestor of the Hunters, a family of vigilantes who hunt Demona through the centuries. Canmore was voiced in the series by J.D. Daniels as a boy and Neil Dickson as an adult. In The Tragedy of Macbeth Part II, Malcolm (who has succeeded from MacBeth, and ruled well for ten years) is led by the witches down MacBeth's path to perdition -- killing his brother Donalbain as well as MacDuff before finally being killed by Fleance (supposedly the ancestor of Stuart king James). ↑ Burton, vol. 1, p. 350, states: "Malcolm the son of Duncan is known as Malcolm III., but still better perhaps by his characteristic name of Canmore, said to come from the Celtic 'Cenn Mór', meaning 'great head'". It has also been argued recently that the real "Malcolm Canmore" was this Malcolm's great-grandson Malcolm IV, who is given this name in the contemporary notice of his death. Duncan, pp. 51–52, 74–75; Oram, p. 17, note 1. ↑ The question of what to call this family is an open one. "House of Dunkeld" is all but unknown; "Canmore kings" and "Canmore dynasty" are not universally accepted, nor are Richard Oram's recent coinage "meic Maíl Coluim" or Michael Lynch's "MacMalcolm". For discussions and examples: Duncan, pp. 53–54; McDonald, Outlaws, p. 3; Barrow, Kingship and Unity, Appendix C; Reid. Broun discusses the question of identity at length. ↑ Hammond, p. 21. The first genealogy known which traces descent from Malcolm, rather than from Kenneth MacAlpin (Cináed mac Ailpín) or Fergus Mór, is dated to the reign of Alexander II, see Broun, pp. 195–200. ↑ Young also gives her as a niece of Siward. Young, p. 30. ↑ Duncan, p. 37; M.O. Anderson, p. 284. ↑ The notice of Duncan's death in the Annals of Tigernach, s.a. 1040, says he was "slain ... at an immature age"; Duncan, p.33. ↑ Duncan, p. 33; Oram, David I, p. 18. There may have been a third brother if Máel Muire of Atholl was a son of Duncan. Oram, David I, p. 97, note 26, rejects this identification. ↑ Duncan, p. 41; Annals of Ulster, s.a. 1045 ; Annals of Tigernach, s.a. 1045. ↑ Barrell, p. 13; Barrow, Kingship and Unity, p. 25. ↑ Ritchie, p.3, states that it was fourteen years of exile, partly spent at Edward's Court. ↑ Duncan, p. 42; Oram, David I, pp. 18–20. Malcolm had ties to Orkney in later life. Earl Thorfinn may have been a grandson of Malcolm II and thus Malcolm's cousin. ↑ See, for instance, Ritchie, Normans, p. 5, or Stenton, Anglo-Saxon England, p. 570. Ritchie, p. 5, states that Duncan placed his son, the future Malcolm III of Scotland, in possession of Cumbria as its Prince, and states that Siward invaded Scotland in 1054 to restore him to the Scottish throne. Hector Boece also says this (vol.XII p.249), as does Young, p. 30. ↑ Anderson, ESSH, pp. 600–602; the Prophecy of Berchán has Macbeth wounded in battle and places his death at Scone. ↑ According to the Annals of Tigernach; the Annals of Ulster say Lulach was killed in battle against Malcolm; see Anderson, ESSH, pp. 603–604. ↑ Duncan, pp. 50–51 discusses the dating of these events. ↑ Duncan, p. 43; Ritchie, pp. 7–8. ↑ Duncan, p. 43; Oram, David I, p. 21. ↑ Oram, David I, p. 21. ↑ Orkneyinga Saga, c. 33, Duncan, pp. 42–43. ↑ See Duncan, pp. 42–43, dating Ingibiorg's death to 1058. Oram, David I, pp. 22–23, dates the marriage of Malcolm and Ingibiorg to c. 1065. ↑ Orkneyinga Saga, c. 33. ↑ Duncan, pp. 54–55; Broun, p. 196; Anderson, SAEC, pp. 117–119. ↑ Duncan, p. 55; Oram, David I, p. 23. Domnall's death is reported in the Annals of Ulster, s.a. 1085: "... Domnall son of Máel Coluim, king of Alba, ... ended [his] life unhappily." However, it is not certain that Domnall's father was this Máel Coluim. M.O. Anderson, ESSH, corrigenda p. xxi, presumes Domnall to have been a son of Máel Coluim mac Maíl Brigti, King or Mormaer of Moray, who is called "king of Scotland" in his obituary in 1029. ↑ Saga of Harald Sigurðson, cc. 45ff. ; Saga of Magnus Erlingsson, c. 30. See also Oram, David I, pp. 22–23. ↑ Orkneyinga Saga, cc. 39–41; McDonald, Kingdom of the Isles, pp. 34–37. ↑ Adam of Bremen says that he fought at Stamford Bridge, but he is alone in claiming this: Anderson, SAEC, p. 87, n. 3. ↑ Oram, David I, p. 23; Anderson, SAEC, pp. 87–90. Orderic Vitalis states that the English asked for Malcolm's assistance. ↑ Duncan, pp. 44–45; Oram, David I, pp. 23–24. ↑ Oram, David I, p. 24; Clancy, "St. Margaret", dates the marriage to 1072. ↑ Malcolm's sons by Ingebiorg were probably expected to succeed to the kingdom of the Scots, Oram, David I, p. 26. ↑ Oram, pp. 30–31; Anderson, SAEC, p. 95. ↑ Oram, David I, p. 33. ↑ Anderson, SAEC, p. 100. ↑ His death is reported by the Annals of Ulster amongst clerics and described as "happy", usually a sign that the deceased had entered religion. ↑ Oram, David I, pp. 34–35; Anderson, SAEC, pp. 104–108. ↑ Duncan, pp. 47–48; Oram, David I, pp. 35–36; Anderson, SAEC, pp. 109–110. ↑ Oram, David I, pp.36–37. ↑ 1093 The Anglo-Saxon Chronicle. ↑ Duncan, p. 54; Oram, David I, p. 42. ↑ Anderson, SAEC, pp. 97–113, contains a number of English chronicles condemning Malcolm's several invasions of Northumbria. ↑ The Annals of Innisfallen say he "was slain with his son in an unguarded moment in battle". ↑ Oram, pp. 37–38; Anderson, SAEC, pp. 114–115. ↑ The notice in the Annals of Innisfallen ends "and Margaréta his wife, died of grief for him." ↑ Anderson, SAEC, pp. 111–113. M.O. 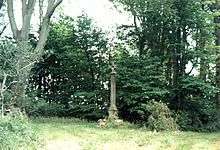 Anderson reprints three regnal lists, lists F, I and K, which give a place of burial for Malcolm. These say Iona, Dunfermline, and Tynemouth, respectively.